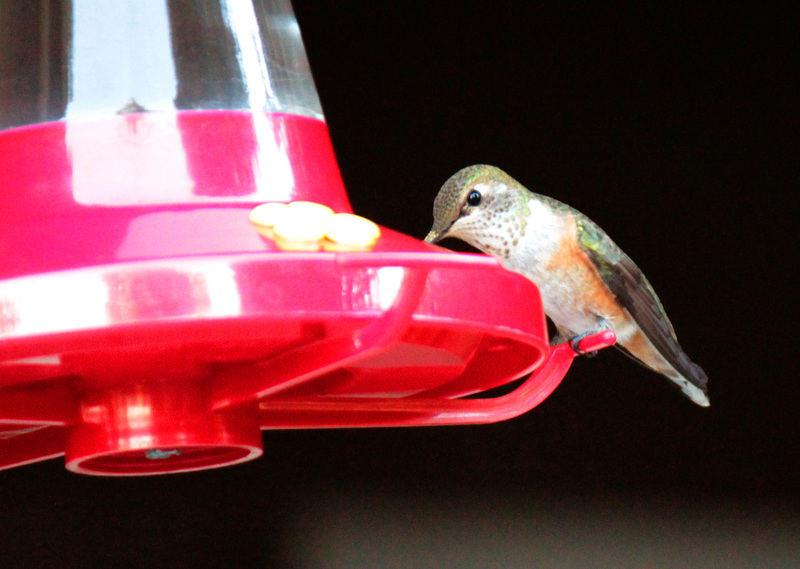 On Tuesday, I saw my first Rufous Hummingbird at a nearby house in Stuttgart. A female or immature, the Rufous had a greenish gold crown and back, a white breast and dull reddish/brown sides. The males have bright orange on the back and belly with a red throat. I originally heard of the bird through the state’s only hummingbird bander, Tana Beasley. The owner of the house with the Rufous later dropped by my work to invite me out to her house for a look. I couldn’t resist. 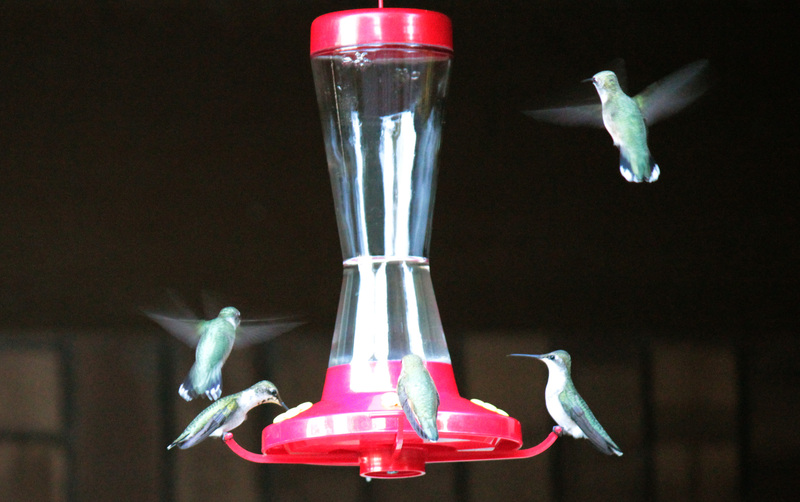 Tana said it is the closest “unusual” hummingbird (meaning not the common Ruby-Throated we have here) to the Stuttgart/ Casscoe area that she has heard about. She did attempt to capture the Rufous for banding, however, the bird was not having it. The Rufous refused to stay where it usually sat until the cage was gone. 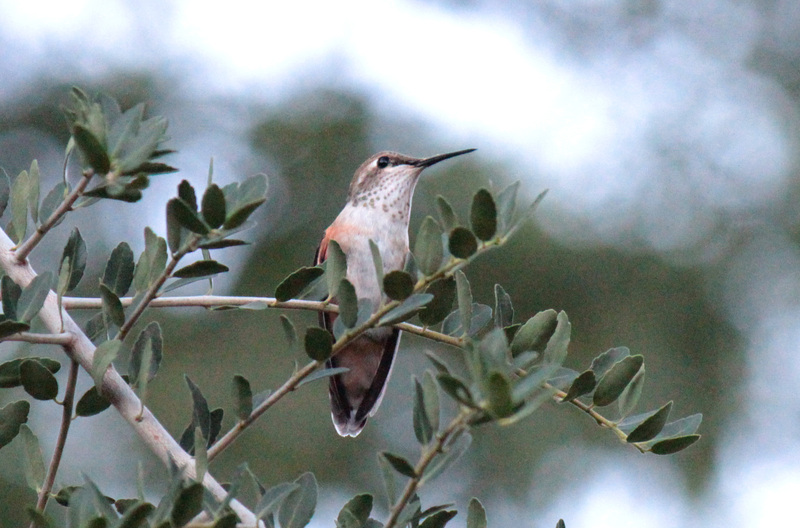 I actually stopped by the house twice before I finally saw the Rufous: Once with the cage there and once afterwards. 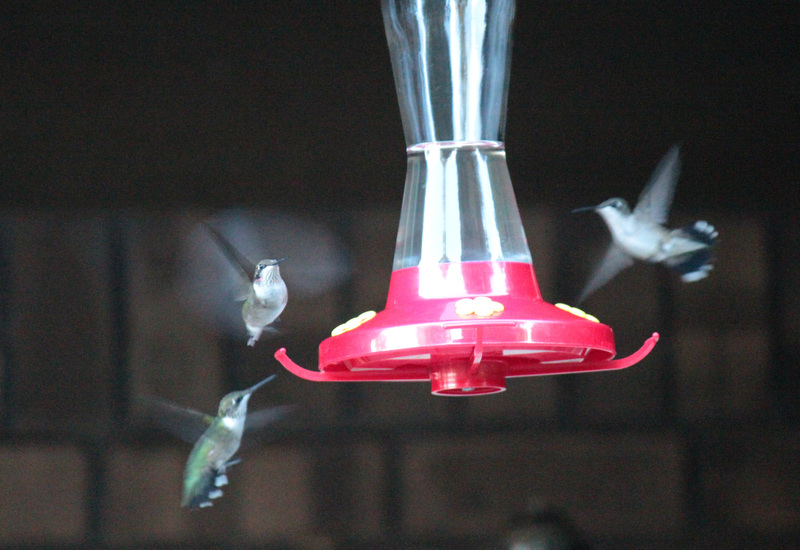 Ruby-Throated hummingbirds swarmed the enclosed garden area on both visits. The Ruby-Throated hummingbirds were hoarding the feeders so much that the Rufous had taken over a portion of the garden’s flowers. It was funny to watch the Rufous sit on favored spots above this section, which it guarded fiercely.